How is the EFS report created? Stock adjustments are an important part of this report especially if your closing stock numbers have increased or decreased compared to opening numbers, as the value of adjusted stock can make a big difference to your revenue. 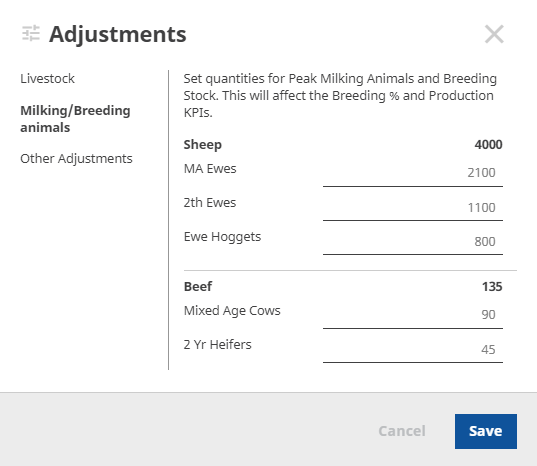 Your livestock adjustments are automatically calculated when opening and closing values have been recorded through Settings - Livestock in your farm business. You can also over-ride the automated calculations within the report, i.e. you might want to run a different scenario without having to change anything in your Settings. 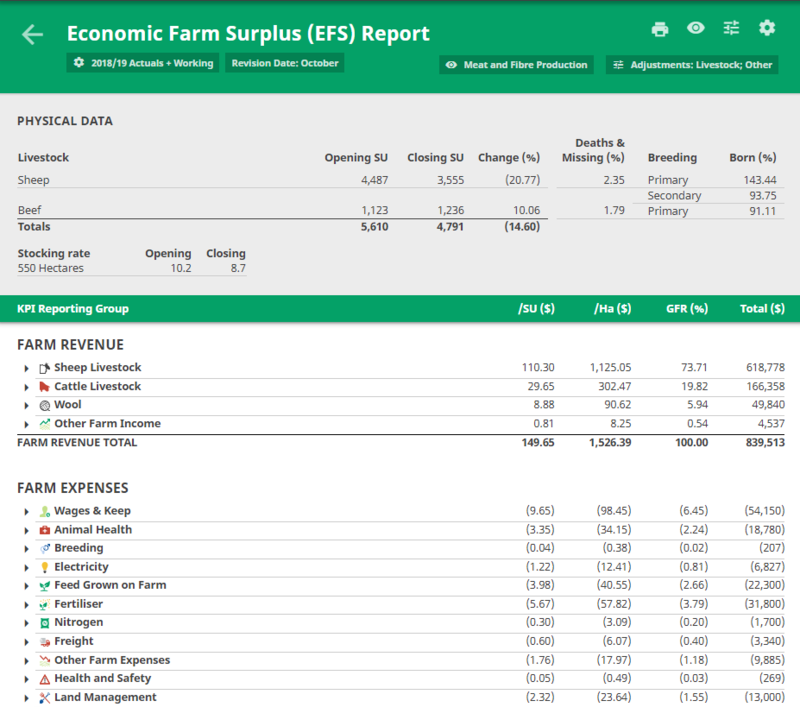 The EFS report automatically uses your opening milking cows from the beginning of the financial year to calculate kgMS/cow and $/cow. 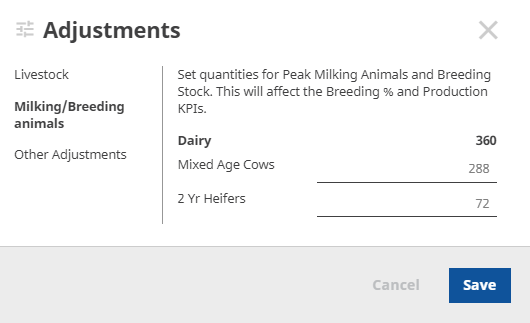 Use the Milking/Breeding animals field to display your peak milking cows in the report. The breeding percentage is calculated using the animals you opened with at the start of the financial year that produce offspring such as MA ewes, 2ths and ewe hoggets. 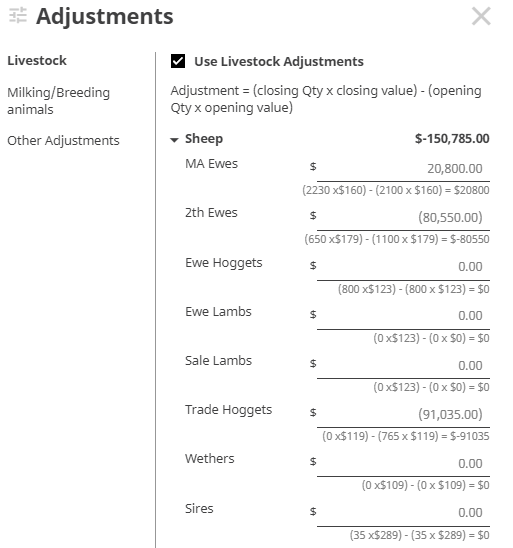 If you want to override the system generated percentages, for example you might buy or sell in lambs ewes part-way through the year, use the Milking/Breeding animals field to enter your own tallies for an accurate lambing percentage.